Today’s topic is sleeping in church. Some might think this is an appropriate topic for Father’s Day. I’ll let you be the judge of that one. 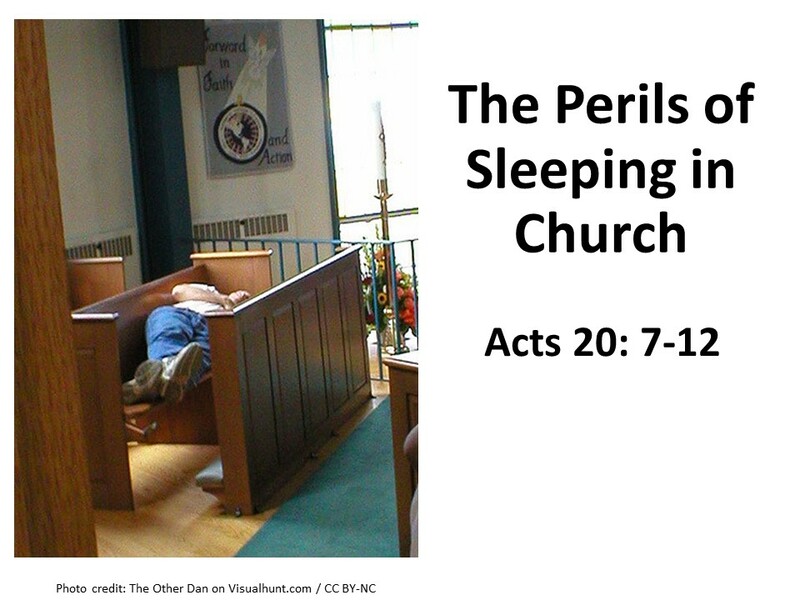 I assure you, I gave up sleeping in church when I moved to the pulpit. I’m not like my favorite preacher, the Rev. Will B. Dunn, who lived in the late Doug Marlette’s comic strip, Kudzu. One Sunday while preaching, he finds himself sleepy and finally nods off, dropping his head down on the pulpit. When he suddenly awakes, he thinks to himself, “It’s a terrible thing to fall asleep in the middle of one’s own sermon.” Then he looks out upon a snoozing congregation and thinks “What’s worse is when no one else notices. I’ll try to stay awake this morning. I hope you do the same. Last week we explored Paul’s final event in Ephesus, the riot of the silversmiths. 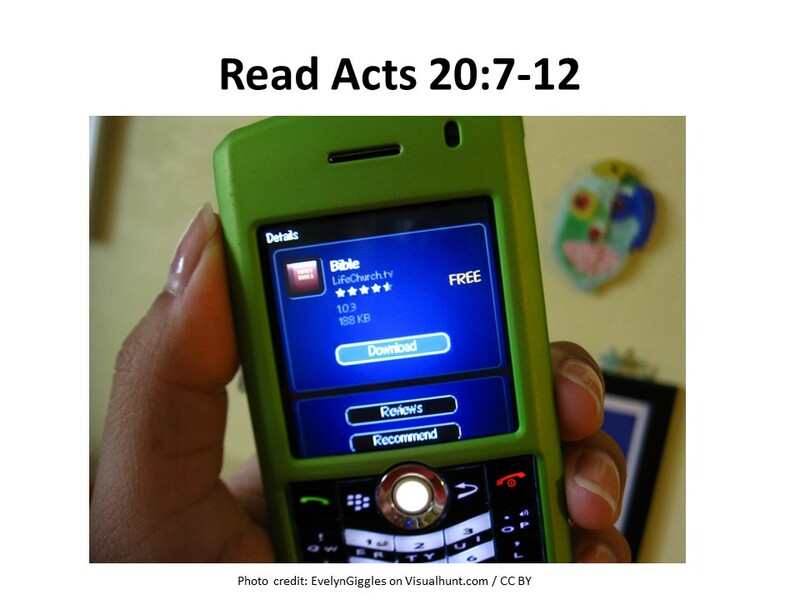 Prior to that, we were given a glimpse into what lies ahead for Paul in Acts of the Apostles. Well spend the next couple of months in these passage as we follow Paul to Rome. 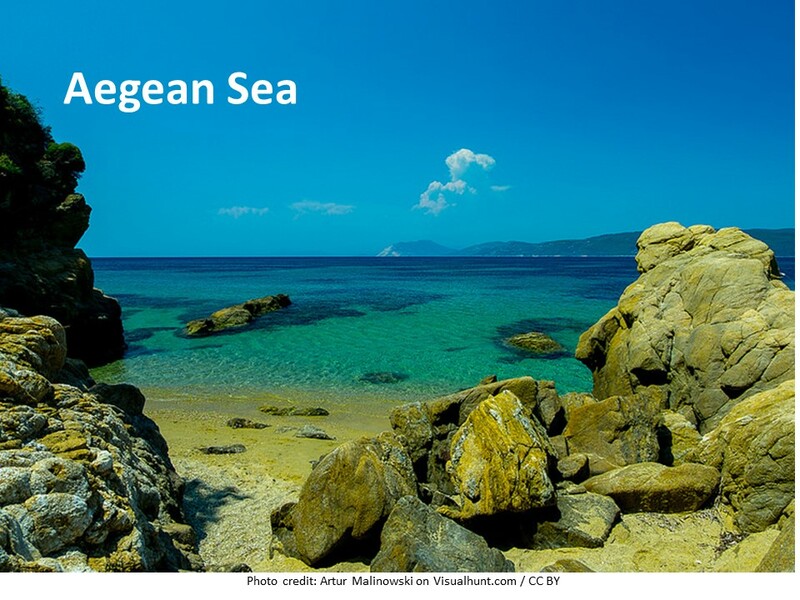 Paul makes a quick trip (about three months) across the Aegean Sea to Macedonia and Greece. Paul’s trip back to Europe is quickly covered in the opening verses of chapter 20. We’re given no detail and that may be because Luke, the author of Acts, was not with Paul at this time. Throughout the accounts in Ephesus and Paul’s travels in Greece, Luke uses terms like “he” and “they,” as if he’s recounting what he heard. Then, in chapter 20, verse 7, Luke returns to saying, “we.” This is generally thought to indicate that Luke has rejoined Paul. No longer is he reporting on what he’s heard, he now reports on what he experience. On the trip to Jerusalem, Paul’s first stop is Troas, a city that stands near the ruins of Troy. Today, this would be in northwestern Turkey, north of Ephesus. Paul has been here before. It’s a quick stop, but Paul makes the most of it as he worships with city’s Christian community. We’ll learn about Paul’s time in Troas today. This is an important text. There are a lot of speeches recorded in Acts, but not here. Instead, this is one of the few places where we have insight into a first century worship practices. We will learn the importance of community worship, the breaking of the bread, preaching, and a concern for those who are on the margin. Read Acts 20: 7-12. I have good news for you. According to a recent study, scientists have confirmed those who attend church and other religious services regularly sleep better than those who don’t. I know some of you probably think you already knew this. Or maybe you’ve experienced it, especially when it comes to sleeping in church. But that’s not what this report is about. This is a serious study, conducted by Professor Christopher Ellison, at the University of Texas in San Antonio. 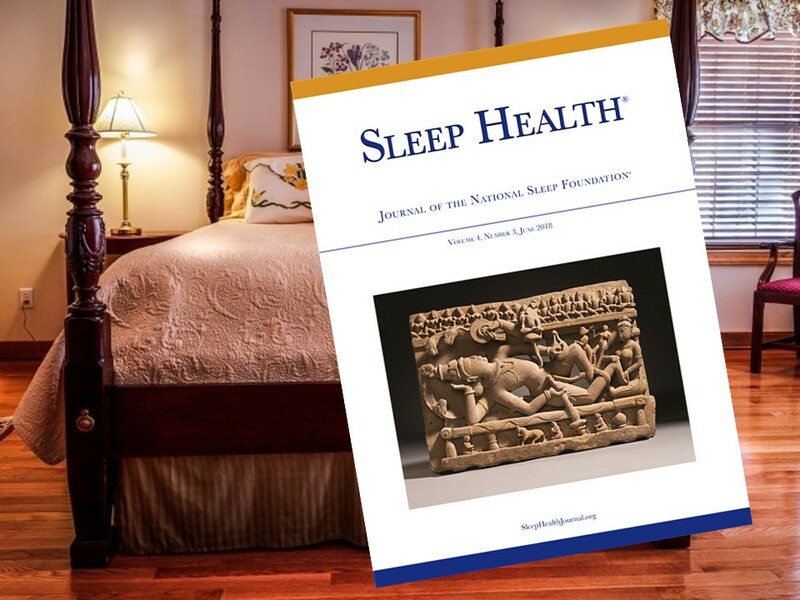 It was published in the Journal of the National Sleep Foundation. In my younger years, one of the many answers I’d give when asked what I wanted to be when I grew up was to be a mattress tester. Wonder if the National Sleep Foundation hires mattress testers. Kathy Spooner, the director of counseling and psychotherapy for the Association of Christian Counselors, affirmed the findings. “Just as a child will sleep peaceably in the arms of a good parent, that is—in essence—the kind of peace we can go to bed with,” she said. There you have it. The good news comes from trusting a loving God as your Father in heaven and such trust can help you sleep soundly. Now back to our text for today. This passage is often seen as kind of a humorous interlude into a long passage that lists the places Paul visited at the end of his third missionary journey. And there is some humor here. Eutychus falling asleep and falling out of a window into the shrubs could make a great comic strip. But the humor stops after he falls not one floor onto a soft landing of shrubs, but down three floors. What began as a humorous event is now a tragedy. Paul stops preaching. He rushes down, bends over Eutychus and gives him a hug. Eutychus takes a breath. He is alive. Did Eutychus just have the breath knocked out of him and Paul’s hug help him catch it. If so, he lives up to the meaning of his name, “Lucky” or “Well-fated”? Or, is this a resurrection passage similar to Peter raising Tabitha, or of Jesus and Elijah, both of whom raised from the dead the sons of widows? The rejoicing of those in Troas indicate the later. This passage is more than a humorous story of someone falling in sleep in church. As I suggested earlier, it provides an insight into worship in the first century. Look at verse 7. They meet on the first day of the week, not the Sabbath. Maybe they are still going to the synagogue on the Sabbath (our Saturday), but their day of worship is the day of resurrection, the first day of the week, which is Sunday. Meeting at night also shows us how the early church accommodated those who were on the margins of society. Slaves and laborers were expected to work when it’s light. It’s thought that the church in Troas may have had many members who would not have been able to make an 11 AM or 10 AM or 9 AM service. Instead of meeting when it is convenient for the few, they meet when it was convenient for those who would normally not be able to be a part of the church. We should learn from this. The church isn’t to do what is easy, but to do what it can to bring more people into relationship with Jesus Christ. It’s not about our wants, it’s about God’s work! The church has to be concerned with those on the margin. It has been pointed out by others that Eutychus was on the margin. He was certainly at the edge of the gathering as he hung out in the window. After he “falls away,” everyone is concerned and they bring him back into the safety at middle of the fellowship. Of course, everyone within “the Way”, the name of the church at this time, would have wanted to hear Paul. 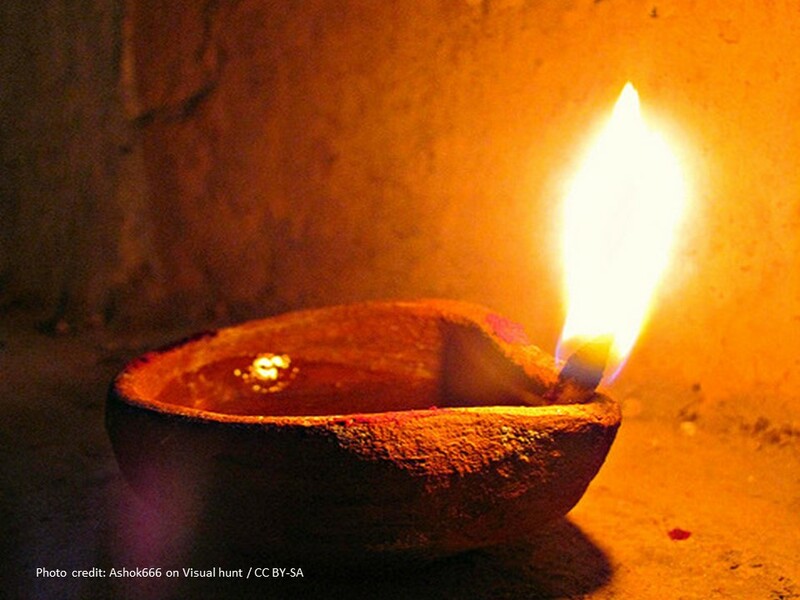 Being that they were meeting at night, in an age without electricity, they had to make due to torches and oil lamps. Much has been made about how, with so many lamps burning, the air would have been stuffy which would have made it easy to fall asleep, but that doesn’t fit with the story. 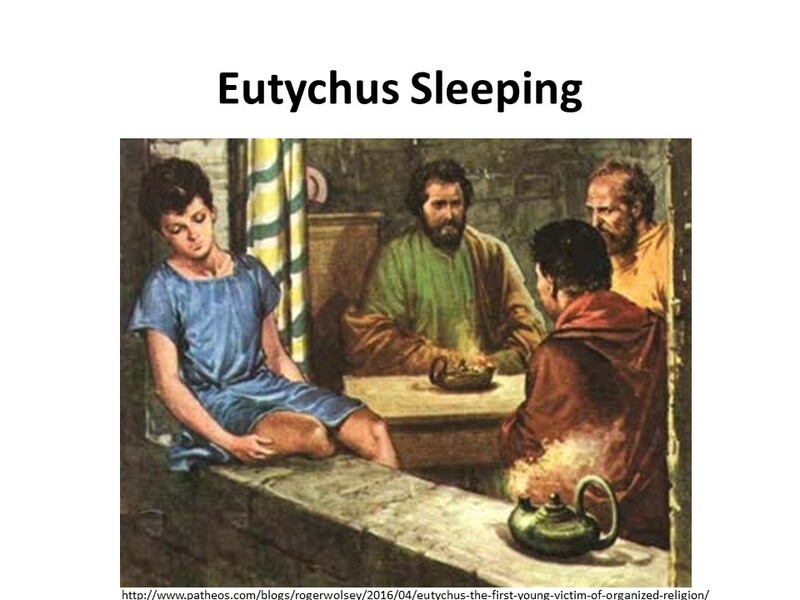 Eutychus is sleeping by the window. It’s one of the few places where fresh air is available. Instead, he was tired and Paul talk went long beyond his bedtime. This story displays a contrast between light and darkness. The community meets under the light of lamps. Eutychus falls into the dark, but when Paul reaches out to him, he brings him back into the light. And, Paul continues to preach throughout the darkness until the light of dawn arrives. There is a movement toward light within the story, just as we are to be drawn to the light, the source of our hope. Then, after talking all night, Paul brings it to a close because he and his companions have a boat to catch. This would be this community’s last chance to see with Paul. Both Paul and the Christians in Troas make the most of the time they have together. 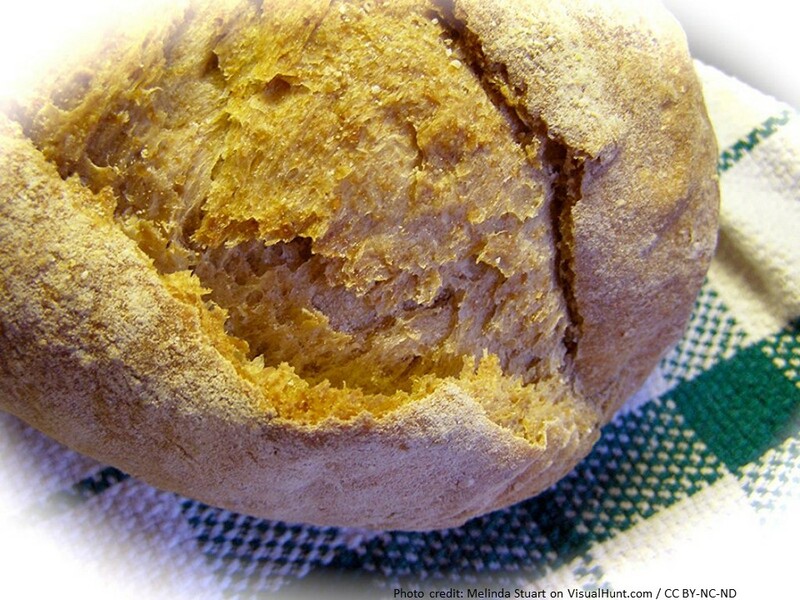 Another thing we see here is the importance of breaking of the bread, or what we call communion, to this community of believers. They’ve gathered for this purpose, even though it appears that they didn’t actually participate in the Lord’s feast until well after midnight, when they bring Eutychus back into the room and give him something to eat. At this time, I’m sure this meal that reminds us of Jesus’ death and resurrection was even more meaningful as they had experienced new life through Eutychus’s fall and restoration. What does this passage mean to us? First, I promise that I, unlike Paul, have no plans in preaching an “all-nighter.” I am not even interested in preaching to midnight. Many of you are relieved. Right? 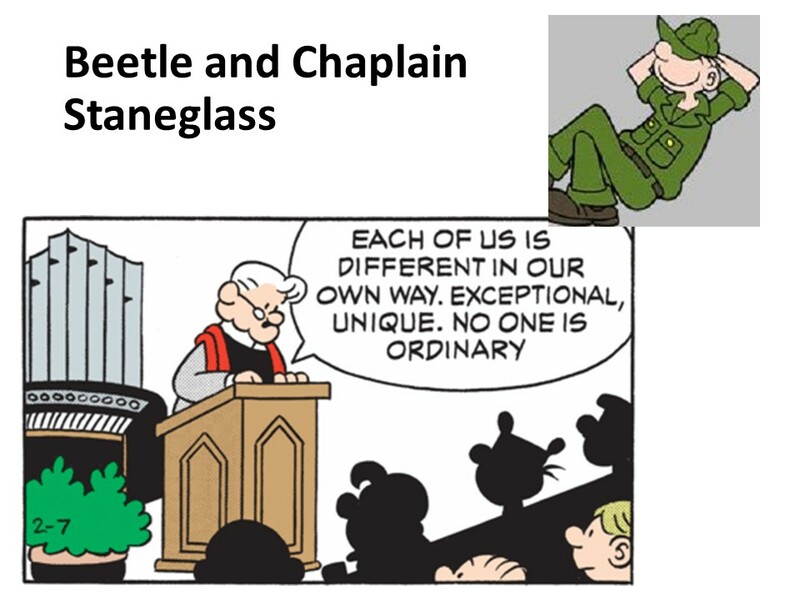 “I didn’t think it was long at all,” the chaplain said. “Guys that deal with eternity don’t think anything is long,” Beetle thinks to himself. But this is not a passage to warn preachers to keep it short. Instead, it’s a passage to show us that the church is to be a place where those who are on the margins and fall away are to be brought back into the fellowship, welcomed at the table, as we rejoice in the knowledge of restored life. As Jesus says, the Good Shepherd seeks out the lost, and there is rejoicing of the angels whenever a sinner is restored to life. 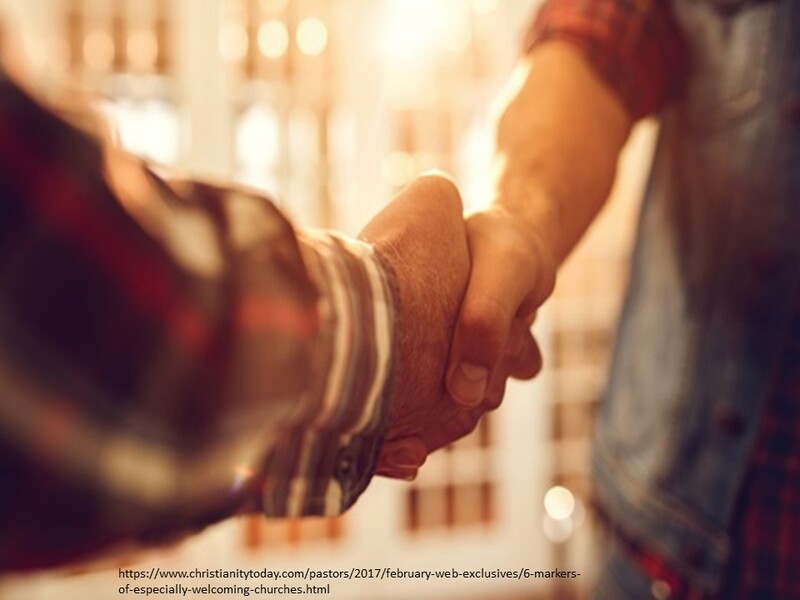 As a family of believers, we need to be willing to welcome those on the outside and to invite them into our fellowship. And as such a family, the gathered church should be the place where life and new life happens. We need to restore this vision—the church as a place of wholeness and acceptance. The church needs to be a place of welcome and love for those who have fallen away. We need to be a place, like the church in Troas, where we are willing to experience a little inconvenience in order to be available for those whose lives don’t run on our schedule. We need to be a place of light that shines into a dark world and beckons others to come and experience the love of God in Jesus Christ. We need to be a place where people are encouraged to ask questions and are nurtured in their faith. We need to be a place where people are restored to life. Hopefully you’ve understood that this passage isn’t about sleeping in church. That was just a teaser. This passage is about us being the church, a place of welcome, fellowship and life. This passage encourages us to catch God’s vision of us being something larger than ourselves. What are you going to do to make this vision a reality? Amen. Doug Marlette, “Kudzu.” This is from my memory. I don’t remember the date the strip was published. F. F. Bruce, The Book of Acts (Grand Rapids: Eerdman, 1986), 407, 409 n27. William H. Willimon, Acts: Interpretation, a Bible Commentary for Teaching and Preaching (1988, Louisville, KY: WJKP, 2010), 154. The New Interpretation Study Bible in the NRSV (Abingdon, 2003) note on this passage lists his name as “Lucky” This is confirmed in the Abingdon’s Strong’s Exhaustive Concordance of the Bible (1894, Abingdon, 1984), Greek Dictionary of the New Testament, 34. According to Strong’s the word derives from tugchano. There is no notion on the meaning of the name is found in Walter Bauer’s A Greek-English Lexicon of the New Testament and Early Christian Writings (1957, Chicago: University of Chicago Press, 1979), 331. Acts 9:36-41, Luke 7:11-17 and 1 Kings 17:17-24. Beverly Roberts Gaventa, Acts (Nashville: Abingdom, 2003), 279. See Anna Carter Florence, “A Prodigal Preaching Story: Paul, Eutychus, and Bored-to-Death Youth,” Theology Today 64.2 (2007): 233-243. Verse 13 indicates that many of Paul’s group took the boat that morning, but Paul hiked over the land to Assos, where he met the boat. I don’t think I ever fell asleep in church as a kid but I don’t think my grandpa would have let me sleep anyway. To be honest I think the falling asleep thing has far more to do with the space filling up with carbon dioxide than the sheer tedium of a self indulgent celebrant. Not saying the latter isn’t a factor, but CO2 is heavier than air and settles. Then when the people are still for a long time there is nothing to swish it about to mix it. It may surprise you but the Black Houses of our ancestors had this one figured out for they built them with a slight slope away from the fire. I believe a 1:50 or thereabouts, so CO2 & CO1 would shift away. I didn’t know that about the Black Houses, Vince. While there are a myriad of reasons for those nodding off, I still think Luke used this incident to show us more about the early church, which I tried to point out in the sermon and to connect it with the church today. Thanks for your insights. Our session used to meet on Sunday night at 7pm – everyone complained about that, so they moved it to Sunday morning after the worship service, with lunch prepared by alternating session members (lots of complaints about that, too.) I understand your point completely and will keep that in mind, next time I hear the complaining. I’m really glad you’ve pointed us to this site from your other blog, as I’ve enjoyed and reflected on your recent few sermons. Quick question — is there a way to sign up to this blog by email? I don’t want to miss posts! I really like the use of light and darkness in this story. It makes for a good reminder that the church is there to bring people away from the dark and into the light. Well-written sermon. Churches should be a place of welcome, and a feeling of community.